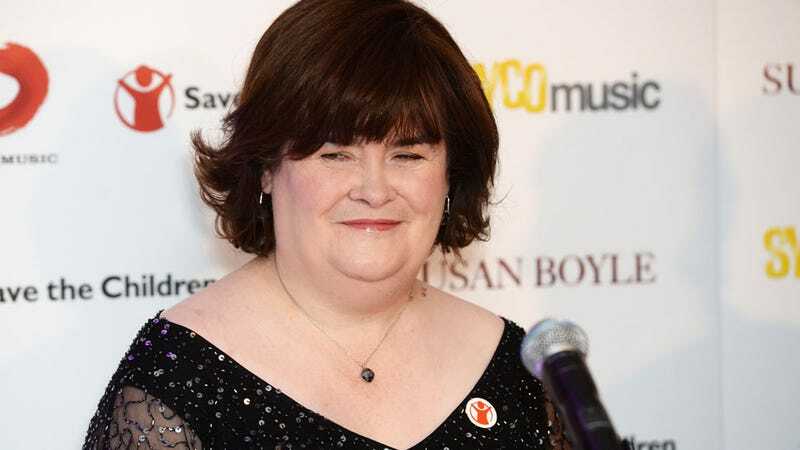 Susan Boyle has recently revealed that she's been diagnosed with Asperger's syndrome, an autism spectrum disorder. Prior to her announcement, it was widely documented that Boyle's disability and self-professed "slowness" was the result of damage suffered at birth. So did that not actually happen? The public was first made aware of Boyle's "learning difficulties" shortly after her meteoric rise to fame on Britain's Got Talent in 2009 when The Guardian reported that she'd been deprived of oxygen briefly after she was born, which left her with learning disabilities. When she ended up losing the competition, she suffered something of a breakdown, causing her to be hospitalized and leading to questions of whether or not she was mentally fit to handle the BGT tour in which she was contractually bound to perform. Producers of the talent show were accused of exploiting a disabled woman. Boyle herself had contributed to the narrative; she gave interviews about how she was bullied as a child for her learning disability, being called "Susie Simple." She was sheltered, she says, by her parents, who forbade her from dating. She was never employed and lived off disability benefits in the home in which she was raised. Boyle participated in a 2011 documentary about how she was adjusting to her new fame. In it, she says, "I had a slight disability and I was a bit slow." The interviewer for the documentary points out Boyle's "brain damage" to Simon Cowell, who admits that by working with her, "it's a responsibility." But a new story in The Guardian explains that Boyle doesn't seem "slow" at all. Interestingly, when her initial wariness wears off, Boyle displays warmth, kindness and empathy in conversation. This is sometimes lost in articles about her, which refer variously to "learning difficulties" or "slowness" caused by complications at birth. Such descriptions are a puzzle – like looking at an apple and being told it's a pear. Boyle is perfectly intelligent. Her assistant reads a glowing review of her new album, stumbling over a word before she can place it. "Timber?" she speculates. "Timbre," corrects Boyle immediately. "It means colour." That's because she's not brain damaged, says Boyle. Sometimes people misunderstand. Sometimes she gets frustrated. "Some articles have said I have brain damage," she acknowledges, before adding, cryptically: "It's been something else." A year ago she went to a Scottish specialist. "I have always known that I have had an unfair label put upon me," she explains. The specialist discovered her IQ was above average. And the diagnosis? "I have Asperger's," she says calmly. Asperger's, a high-functioning form of autism, mainly affects people's social interaction and communication skills. When she says the word, things fall into place. Finally, it's like looking at an apple and agreeing it really is an apple. "It is," she says, "a relief."